Demon Records is to release an eclectic collection of records as part of 2019’s Record Store Day on Saturday 13th April. The releases include two Doctor Who soundtrack adventures, both limited to 2500 copies. 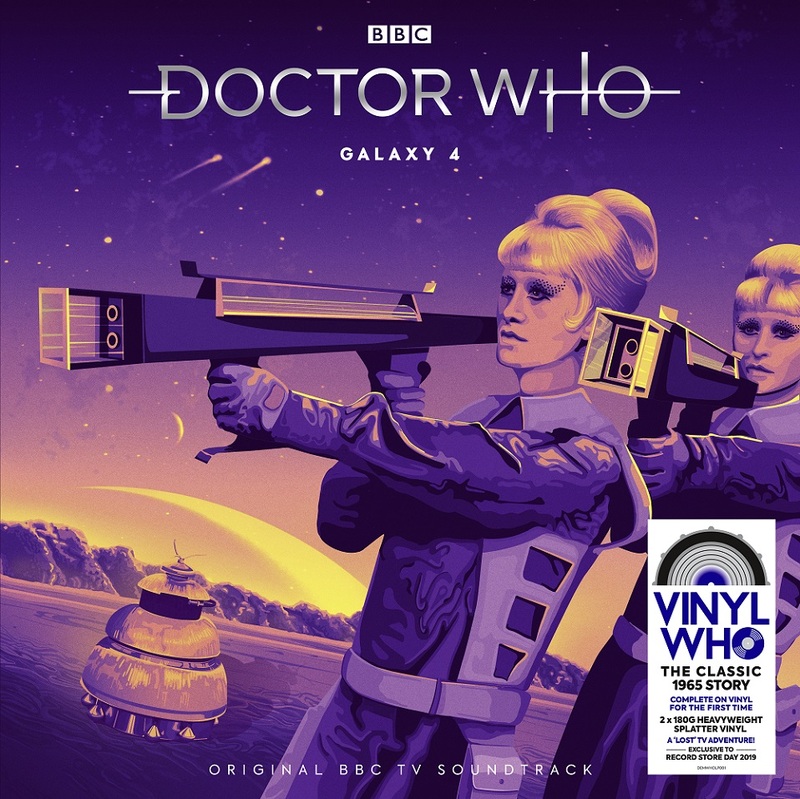 Presented across 2 x Heavyweight 180g pieces of Orange with Purple Splatter vinyl, this narrated TV soundtrack evokes a classic Doctor Who adventure in all its aural magnificence. From the eerie sonics of Ron Grainer & Delia Derbyshire’s theme tune, and the familiar ‘wheezing, groaning’ of the TARDIS, through to the menacing chirrup of the squat, metallic Chumbley robots and the atmospherics of the Rills’ spaceship, the story is alive with weird and wonderful sound. Written by William Emms, the story presents a traditional morality tale with a twist. Linking narration is provided by Peter Purves (Steven) and the cast includes Stephanie Bidmead as Maaga. The final episode leads into the prelude to the epic adventure The Daleks’ Master Plan (just released on Demon Records). The film recordings of all but one episode of this story are lost from the BBC archives. 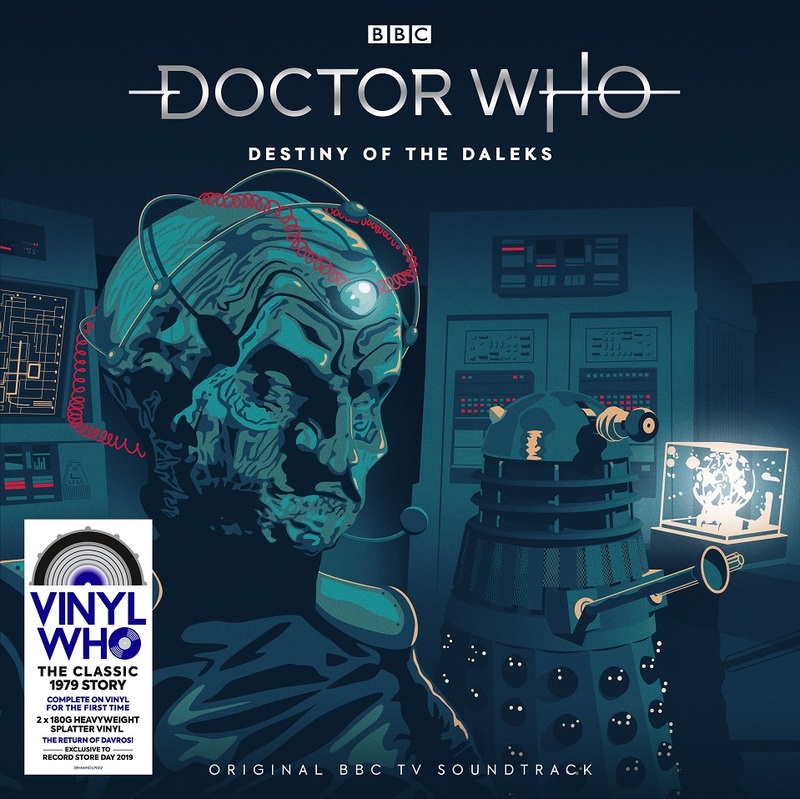 Presented across 2 x Heavyweight 180g pieces of Red with Blue Splatter Vinyl, this narrated TV soundtrack evokes a classic Doctor Who adventure in all its aural magnificence. From the eerie sonics of Ron Grainer & Delia Derbyshire’s theme tune, and the familiar ‘wheezing, groaning’ of the TARDIS, through to the bass thrum of the Daleks’ headquarters, and their clamorous shriek of “Exterminate! Exterminate!” the story is alive with weird and wonderful sound. Add to that the sparkling dialogue of a script written by Terry Nation and script edited by Douglas Adams, and you have 2 hours of joyful sci-fi entertainment. Linking narration is provided by Lalla Ward (Romana) and the cast includes David Gooderson as Davros, Tim Barlow as Tyssan, Peter Straker as Commander Sharrel and Suzanne Danielle as Agella.